The Popeye Express: The Yukon at Last! 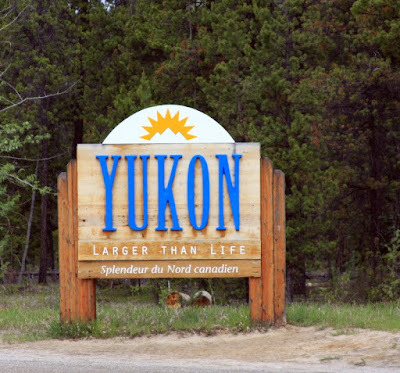 Somewhere after milepost 560 we enter the Yukon at Last! Currently this is as far north as Bob and I have ever traveled. More awesome country to witness. This handsome fellow appeared somewhere around mile 509, still in British Columbia. 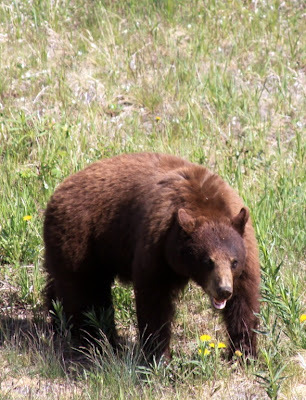 We spotted him crossing the road, and fortunately for us, he stayed alongside the road going after the yellow flowers in bloom. 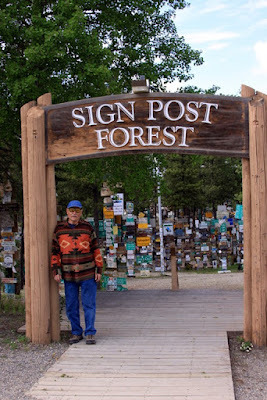 The town of Watson Lake is known for the Signpost Forest, a major attraction started by a lonesome GI during the building of the Alcan highway. 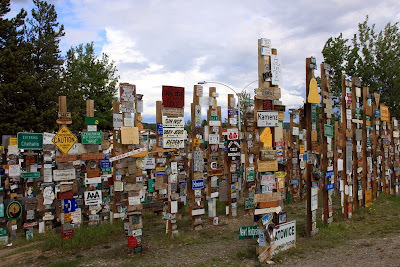 According to the visitor’s center, as of 9/11/10 there were in excess of 72,000 signs. No, we didn’t count them to verify the accuracy of this statement! 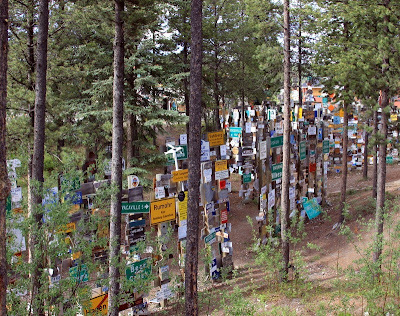 I tried my best to take pictures at an angle where you can see the rows and rows of signs. Most of the pictures I have seen show just a flat row. Hope these give you a good idea of the scope of this forest. 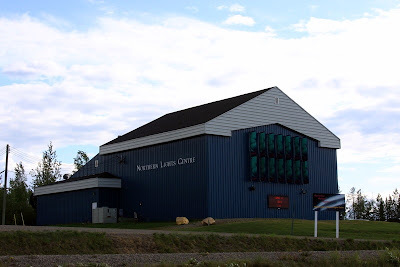 The Northern Lights Center is our final visit on this overnight stop. We enjoy a show on astronaut training on the space shuttle and the Aurora Borealis, which is what I want to see. 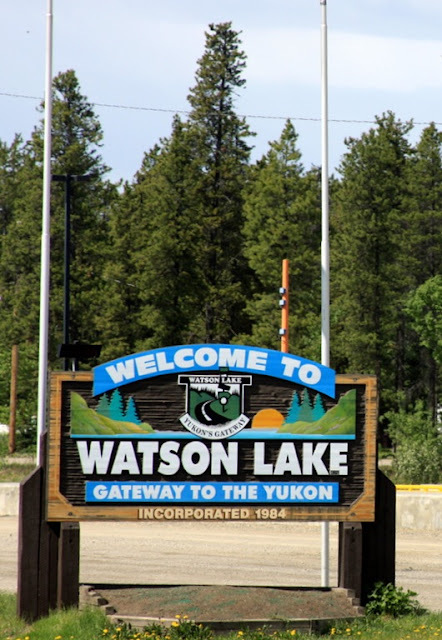 Coming Next: Our drive to Whitehorse, the capital of the Yukon Territory.